HTS went to the two-day taping for Taylor Swift’s Thanksgiving Special “Speak Now” which will air on Thanksgiving (November 25) on NBC. On Monday, Taylor Swift was surprised to see fans surrounding her piano and strings section in the middle of Central Park in New York City. She came out jumping up and down, saying “Wow,” a countless amount of times. She sat down on the piano and told the audience of about 250, “I’m sorta losing my mind right now.” She had no idea anyone would be there to celebrate the release of her album. 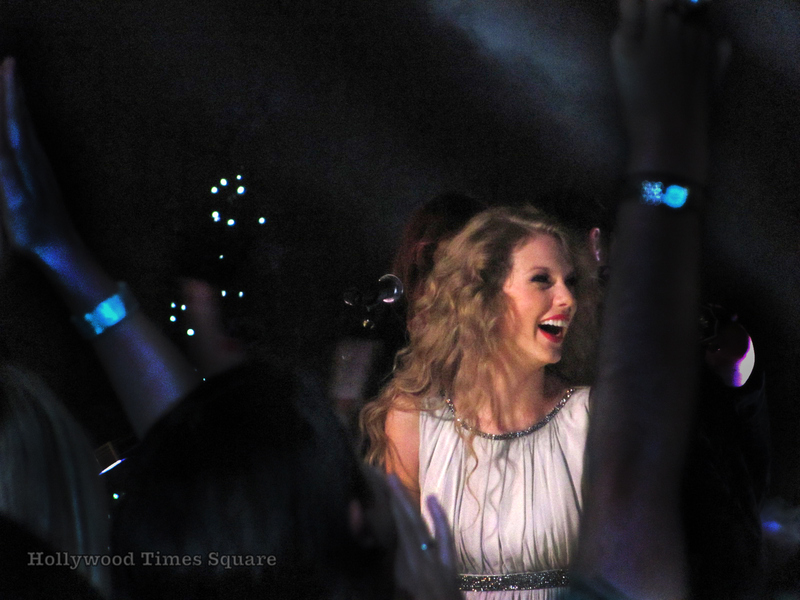 She sang “Back To December” three times, and talked to the audience in between every take. At one point someone yelled that they loved “Better Than Revenge” (a song that is thought to be about Camilla Belle). Taylor stood straight and said slyly, “Oh, well thank you.” CHeck out our video of her leaving here.